He’s Still Coming | Hujambo! 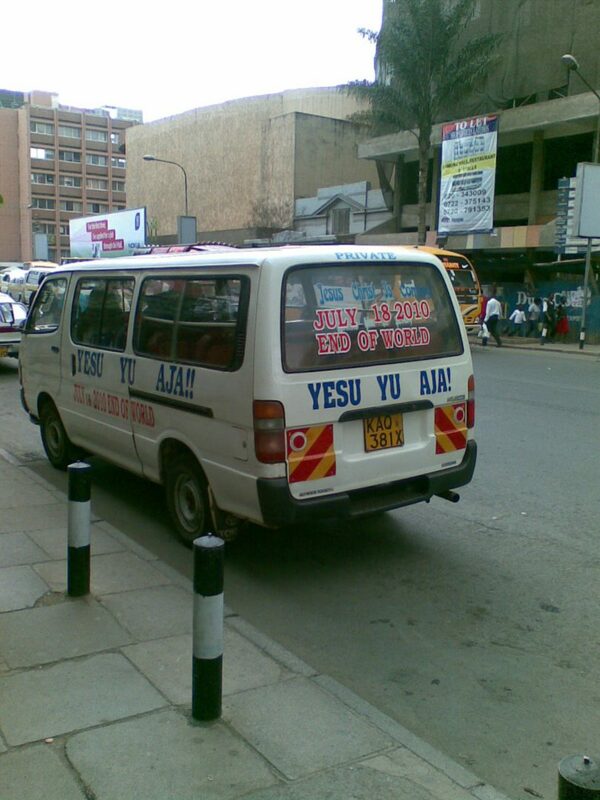 Yesu yu aja (“Jesus is coming”). Wacko alert! Yes, they do exist outside of Texas! 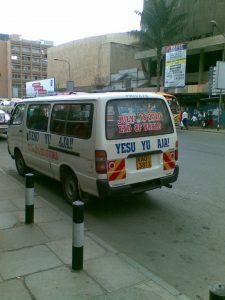 I think this guy parks his minivan on prominent streets in Nairobi to get the word out. I’ve seen this van before so it was like bumping into an old friend. When I saw it I thought, “Oh, it’s that car!” and I just had to stop and snap a picture. Thank the lord for cell phones with cameras. 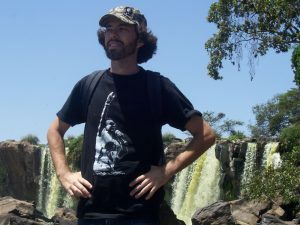 Citizen journalism, baby! I wonder if he knows something we don’t, or if he will adjust the date next year when nothing happens on July 10, 2010. If he’s wrong, maybe he’ll change the date to something more in line with the real end of the world, December 21, 2012. Anyways, keep your eyes peeled while you walk in town and you might catch a glimpse of this hilarious minivan. Gotta have something to believe in I guess. What else is good for him?